If you haven’t heard already, Pilates is fantastic for your overall health and well being as well as helping to look after your spine! Pilates requires little equipment so if perfect at home, but one of the key pieces of equipment is the Pilates mat! When it comes to Pilates mats, there are a lot out there. It’s so hard choosing the right one. 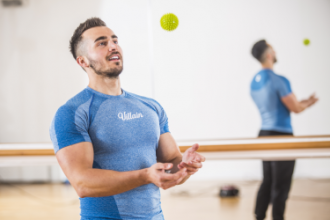 Everyone has their own requirements, whether you’re a beginner at home to advanced Pilates instructor in a studio, having the right mat can really help! 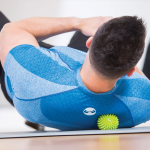 Pilates mats are generally thicker than the standard exercise or yoga mat as the most important part of their function is to cushion the spine, knees, wrists – basically any boney bits (check out The Crab and you’ll see what we mean). 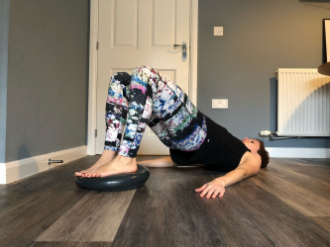 Plus, as the majority of matwork Pilates is performed on the floor it means you don’t need a thinner mat (like they are for yoga for standing postures for easier balance). Most Pilates mats are over 6mm in thickness, if you’re looking for a dual mat to use for both Pilates and Yoga, then a 6mm mat is the sweet spot, something like our Evolution or Deluxe Warrior Mats. That being said, the best thickness for Pilates is between 8mm – 15mm. If you want to get the best of both worlds and can afford to do so, you can always consider layering mats, e.g. a 6mm mat with a 4mm mat, or if you attend a Pilates class but want the hygiene of your own, you could purchase a thinner mat to go over the top of the class mat. Material doesn’t play a huge roll but something to consider is if it’s too stretchy. A mat that is too stretchy when performing Pilates exercises can make life very uncomfortable because it means you’ll be slipping and sliding all over the place and possibly risking good alignment. Ensuring the mat is made from a dense but soft and comfortable material is best. If you’re working out at home and space isn’t an issue, then having a heavy mat of nice material is perfect as you won’t need to worry about having to carry it to and from class or rolling it up. 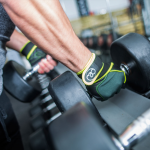 However, if you do need to carry your mat with you, then you’ll want to make sure the mat is lightweight enough to carry without discomfort, and if it’s got a carry strap with it even better, such as our Core Fitness Mat. Pilates mats because of their thickness can be very bulky, so you definitely don’t want to add to that with extra weight! Size is something not to be overlooked. There are a lot of short aerobic and exercise mats out there that are far too short to use comfortably during Pilates. Nobody wants to be in the middle of The Roll-Over and suddenly find you have no mat beneath your head, neck and shoulders! Or worse, when you’re on your front with no mat to rest for forehead on, such as Swimming move! Texture depends on if you’re looking for a dual-purpose mat, e.g. 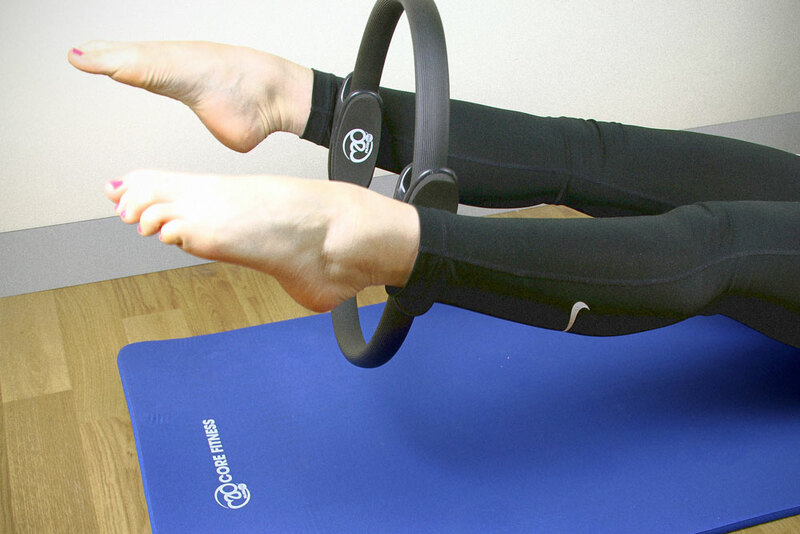 for use in yoga and Pilates. Pilates doesn’t really require a grippy surface mat, but choosing a surface you like the feel of is also important (plus keeping in mind if it’s stretchy!). Go for grippy if you’re looking for a yoga mat which can double up as a Pilates mat, the more grip the better for yoga! Last but not least, comfort. Comfort is what it is all about and this is definitely the one that’s the most personal. What one person thinks is comfortable, another may not. It really is trial and error but if you consider the rest of the previous points then we’re pretty certain you’ll get the comfort factor right. Another thing to consider is to go for a Pro mat. 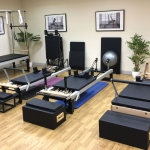 At Pilates-Mad we supply both Pilates Studios, Instructors, and home users. Meaning when you buy a mat from us, you know you’ll be getting the very best quality you can. Still confused? 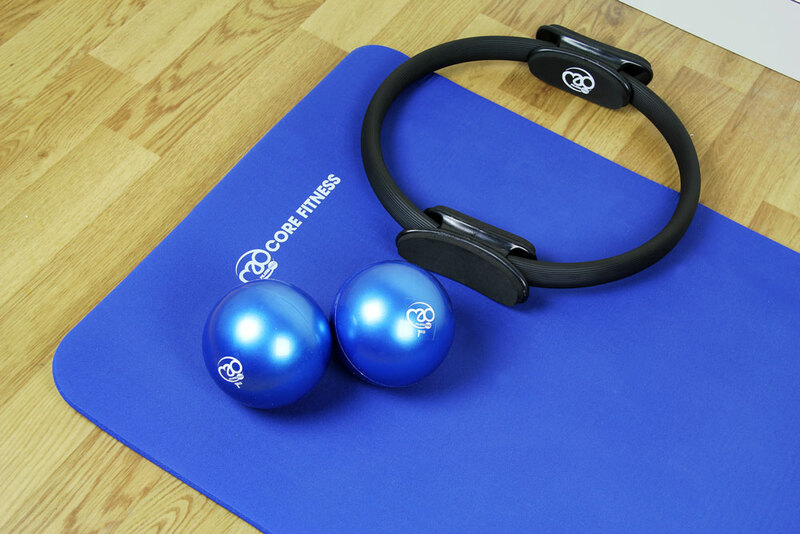 Don’t worry, speak to one of our experts to help ensure you pick the perfect Pilates mat!